We are long time locals loving life in Tulum. 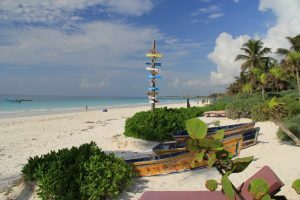 After living in Tulum for over 10 years and being a fairly well connected local, myself and many other locals can still find it a challenge to know whats going on in Tulum! The things to do in Tulum. The challenge is things quite often happen in "Real Time" in Tulum, plans are often made at the last minute! Including local entertainment options like; live music, happy hours, special events, dinner specials and even last minute hotel walk-in rates. We needed a way to connect the us and them! TulumNow was born from that inspiration. Now there is a way for YOU to find out what is going on and what to do in Tulum in real time, we call it "Real Fun in Real Time!" The website is a great place to start by checking out our "Places" and "Events" sections, we also have an app that will be available for download starting in December 2017. Find out in real time where the best deals are, the best local happy hours, beach clubs and exclusive special offers. Turn on your notifications for events and give yourself and your crew the best options for having fun in Tulum in real time! Discover the best places to go and get real time updates on events, specials and exclusive offers happening in TulumNow! It's easy and it's free!